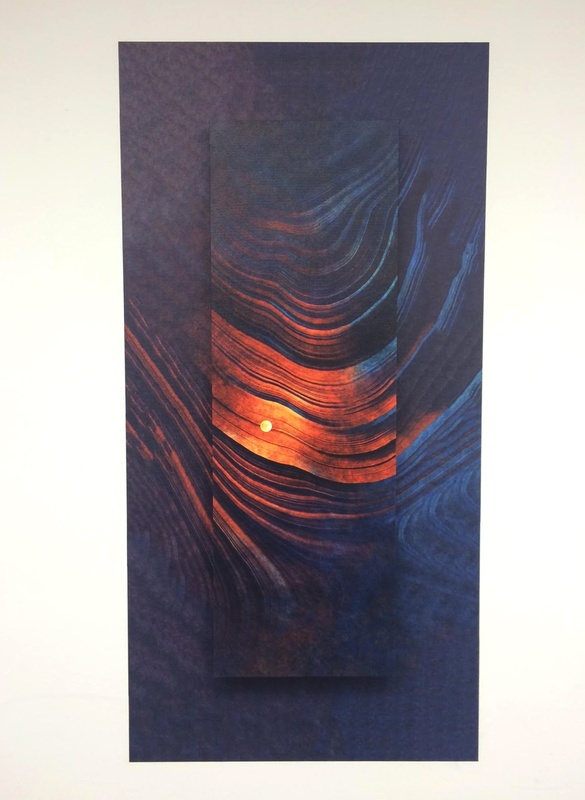 We got our start in the industry by offering high-quality Canvas Wraps at an affordable price. Since that concept didn't exist at the time, we made some serious waves. Over the last five years, our company has exponentially grown thanks to this innovative product offering. 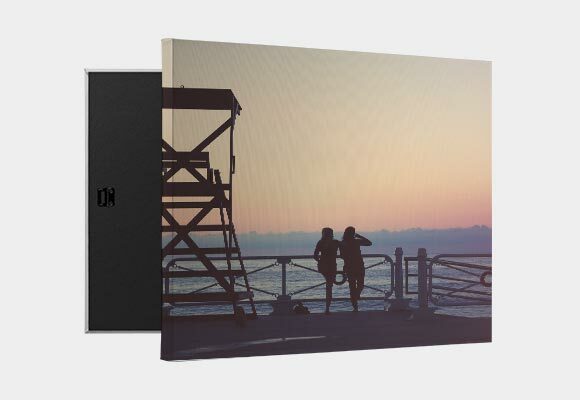 Not surpisingly, our Canvas Wraps have also cast a small shadow on our additional product releases. With such a popular first product, our other useful offerings can sometimes get overlooked. Such is the case with our Wall Peels. Not only does this product differ from our "bread and butter," but it's not typically a product offered within the professional photography industry. When one thinks professional photography, they often think of legacy products built to last as long as the memories printed on them. 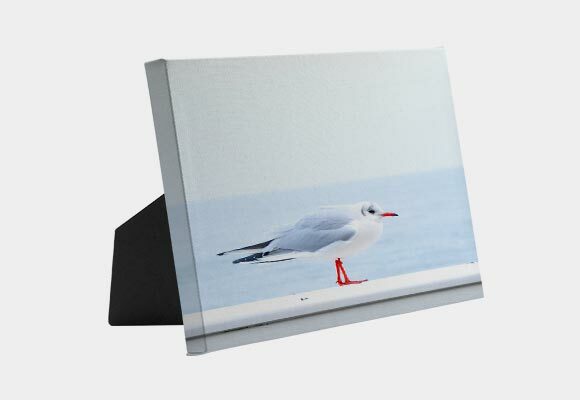 Products like Canvas Wraps, Photo Albums, and Photo Prints easily fit the mold. While Peels may not fit the typical mold, we believe they are a strong tool for your business and we want to help show you why. Below, we've outlined ideas that will (hopefully) inspire you to find new ways to promote and grow your business, as well as showcase your incredible work. Throughout the year, you have most likely planned promotions, mini sessions, and deals that will help boost your business and attract new clients. The logical marketing tactic is to promote these offerings via social media and email. While this can work on a small-scale, you truly never know if you're reaching the right clients or attracting the right people. We believe the best way to make a marketing impact is empowering the people who already know and love your business to spread the word. Peels can be a great way to market your business and offerings within your studio (current clients), and throughout your local community or region (prospective clients). We recently featured a guest blog post on local networking where photographer Shannon Morton provided tips for establishing connections with businesses in your area. Ideally, these businesses will pertain to yours so that the partnership is mutually beneficial. For example, if you're a newborn photographer, you could partner with a local children's boutique and cross promote your businesses. The boutique could promote your photography services with business cards and booking incentives, and you could offer deals on the boutique clothes with each booked session. If you've established these local connections (or plan to), Peels are a great way to leverage these partnerships. Ask your partner business if they'd allow you to hang marketing materials in their store (in exchange for counter-promotion in yours of course!). 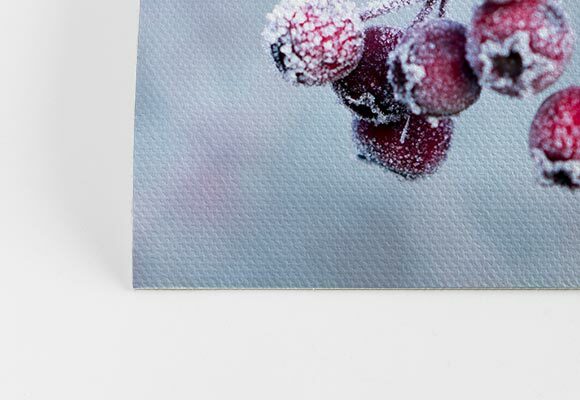 You can then print various Peels showcasing your photography and marketing message throughout the year. With easy installation and take-down, the promotion can change as often as you'd like to keep your audience engaged and incentivized. You can do this same display in your studio to encourage upsells to current clients and help them spread the word on your current deals and offerings. 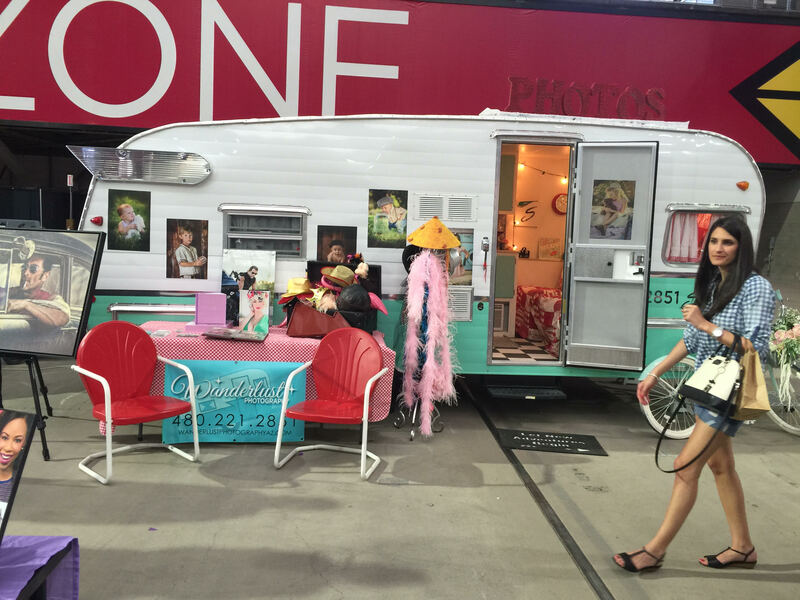 As tradeshow veterans, we know there is nothing worse than lugging around heavy prints, albums, and decor for every show. Your work should be the most prominent feature in the display, but when you're a 1-2 person team, the set up and take-down can be daunting. It may even cause you to remove some work from the display, which is never a an easy decision. Bare with us skeptics, but this is where Peels can save your display (and your back!). Adding Peels to your tradeshow display is the perfect solution for a small booth. 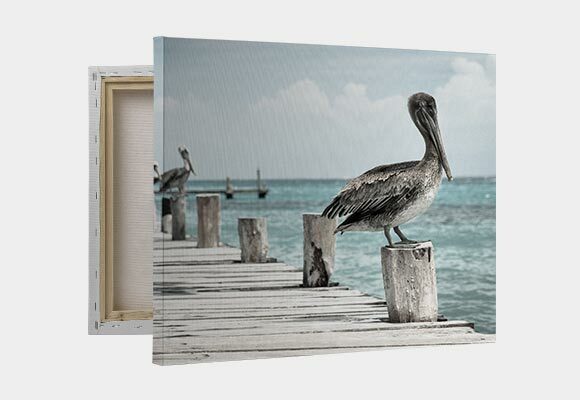 While you can still let the Canvas Wraps and Photo Albums steal the show, Peels can be placed in the available space of your booth for an added photo showcase that displays your images in a truly different medium. They're easy to position for an asymmetrical and eye-catching display, and they can fill the space in your booth that you didn't even think you had available (windows, metal, concrete, etc.). You can even feature Peels with your table-top displays to provide information like price lists, show discounts, and more. Still not convinced? Check out the tradeshow display from photographer Shelley Franklin, of Wanderlust Photography, featuring both Wall Peels and Canvas Wraps. 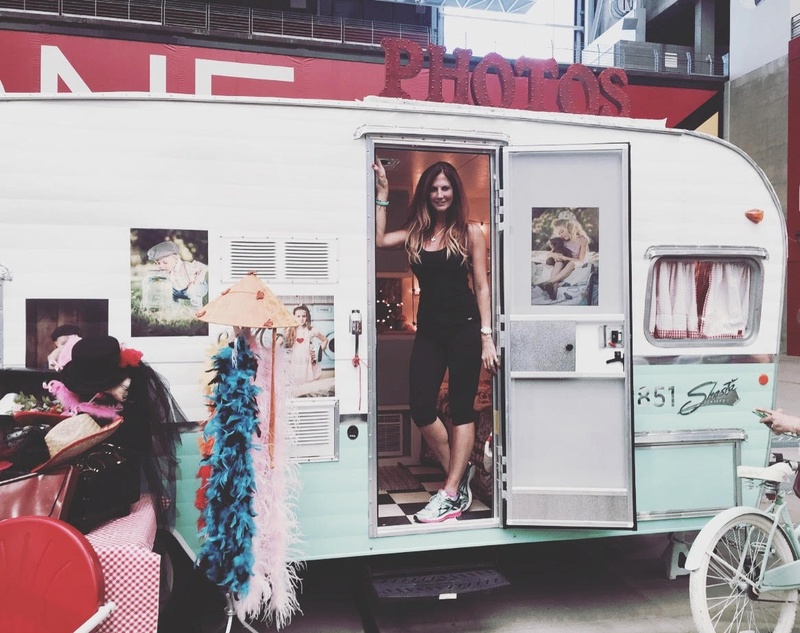 "I was attending a trade show with my vintage camper photo booth and was planning on displaying my work alongside the photo booth to drive attention to both. I had very limited space available and I needed to use the table area for props and albums. 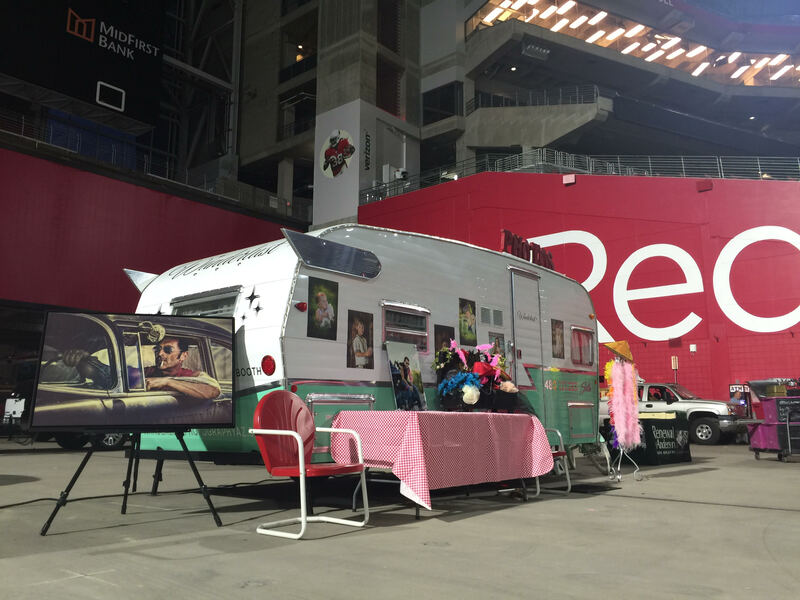 Since the trailer itself was going to there as the photo booth, I thought putting Wall Peels on the side of the trailer would give me an additional wall of marketing space." Not only did the Wall Peels help Shelley display even more of her work within her booth, but the quality of the display was a plesant (if unexpected) surpise: "I was absolutely amazed with the quality of the Wall Peels when I received them... I loved the texture of them and how they seemed to bring out every detail of my photos. At this point I have used them twice since they are removeable; I just put them back on their backing when I'm done and thus far they are still sticky and look perfect!" 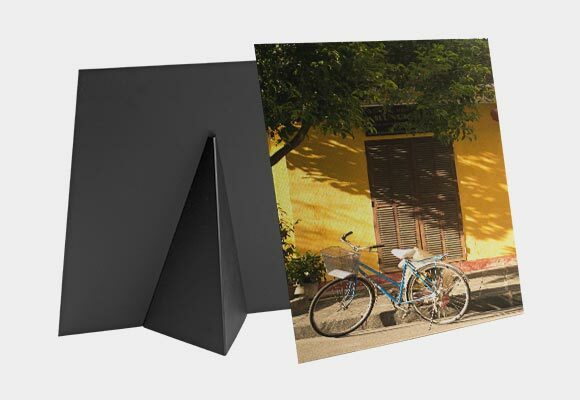 A fun and innovative way to showcase Wall Peels with your other favorite CG Pro Prints products is a Canvas Wrap pop-out display. 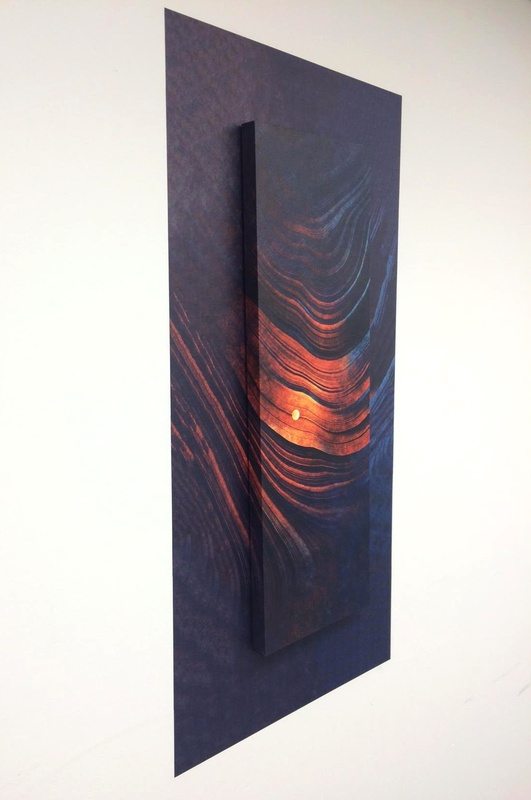 This installation features a Canvas Wrap mounted to a large Cling for a 3-D effect your clients will love. This display is perfect for any genre of photography and helps each photo stand out around other decor in your clients' homes. 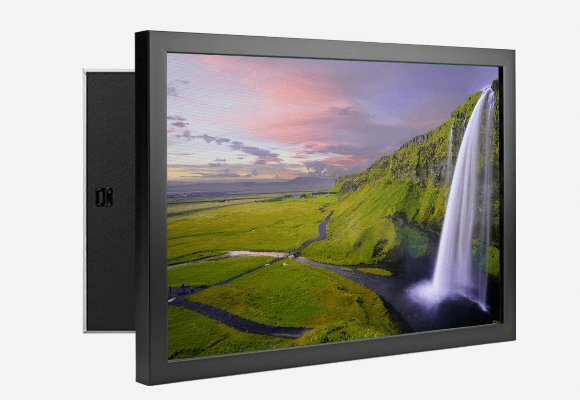 When ordering these displays, you will need to ensure the Cling is at least 3-5" wider than the canvas so that the 3-D effect can truly show. For example, a 20"x60" Cling with a 12"x36" Canvas Wrap can help both products stand out within the display (pictured above). We also recommend statment size Wall Peels like a 32"x48" Cling with a 24"x36" Canvas Wrap. 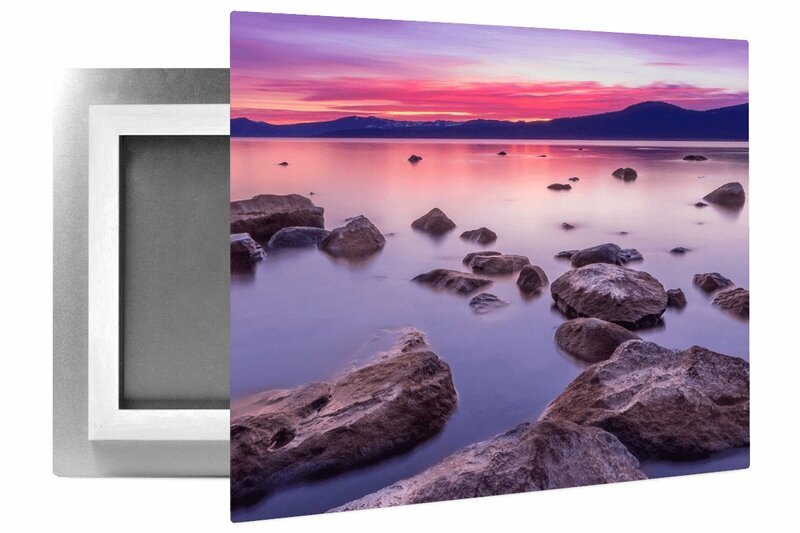 If you've got a small area of focus within a larger landscape, you could also do a smaller "pop-out" display with a 24"x36" Cling and a 16"x20 Canvas Wrap or similar (pictured above). 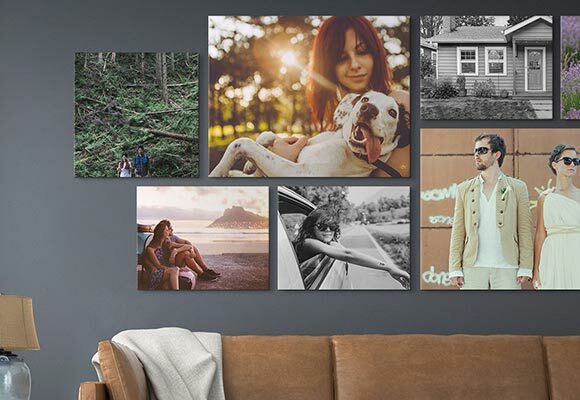 While Canvas Wraps will always be the statement piece for your clients, Wall Peels can help upsell your prints in various ways. 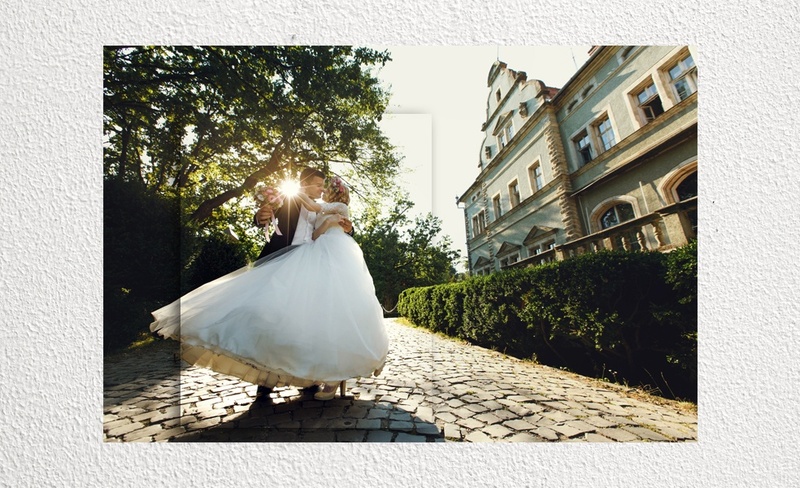 A great example would be selling a multiple canvas grouping. Rather than digitally rendering various canvas groupings prior to their in-studio sales session, plan a few different Cling arrangements you think the client would like. 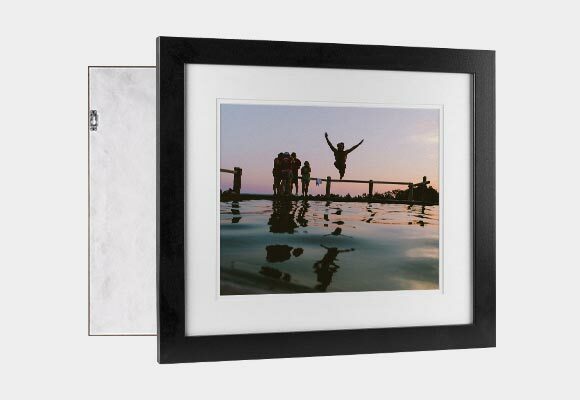 This will help them visually imagine the display, as well as the sizing, within their home. It also easily allows you to change up the arrangement in real-time based on their preferences. 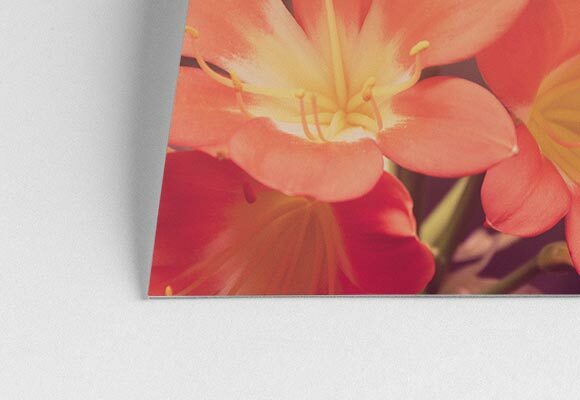 To keep each sale profitable, we suggest purchasing a "statement piece" Cling such as the 32"x48" or larger, and keeping it the centerpiece of your arrangements for each client. From there, you can rearrange smaller sized Wall Peels around the display and increase the sale simply by showing your clients the possibilities. 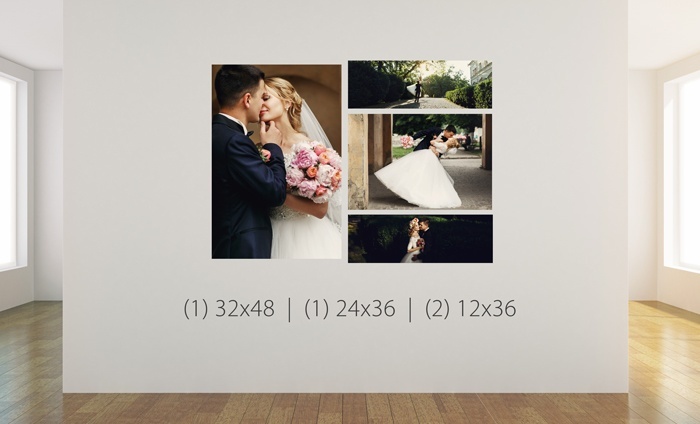 Using Wall Peels for this selling exercise helps you easily change the display, quickly swap out imagery (based on the client), and even update the photos to showcase relevant work for each session. 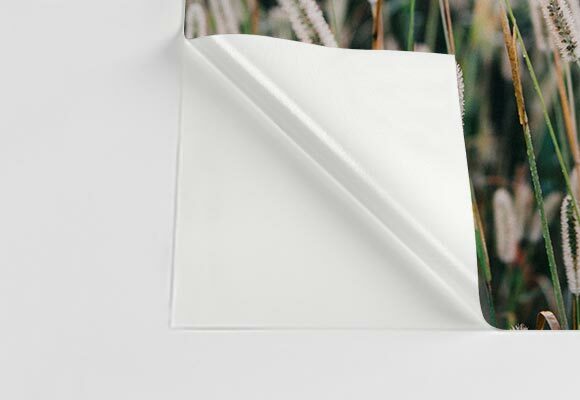 If you need a specific Cling size that isn't offered on our site for your example display, Wall Peels are easily cut with a sharp part of scissors and can be sized to your specifications. Overall, Wall Peels are an affordable way to constantly update your promotions, and showcase your most recent work. We'd never try to claim that Wall Peels are the legacy product that would replace our Canvas Wraps or Leather Wraps. That said, we do hope that these ideas have given you inspiration for using Wall Peels to market your business and upsell your sessions. And if a client happens to love the product, you've also just added to your bottom line with a fun new offering! Convinced? You're in luck! Wall Peels are 30% off through June 30, 2016 - no code needed! Do you use Wall Peels in your business marketing? Share additional ideas with us in the comments for a chance to be featured on our social media or blog!